We bypassed Test Track because it constantly had a huge wait time – no surprises there. I also am not really bothered by cars so… the concept doesn’t hugely appeal to me. Have I missed out? Probably, so says other people, but I’m kind of fine with that. Another iconic ride, Soarin’, was ticked off the list and it was everything I imagined but also hilarious. The queuing area is themed like a retro airline, think Pan Am, and then Lemony Snicket himself (ok, Patrick Warburton) dressed as an airline captain gave us the safety briefing. Then to the ride itself: you sit down in rows of seats, and your restraint for the ride is basically an airplane seat belt. The ride lifts the seats to a height so that you can see the concave screen onto which the images of soaring above the earth are projected. The ride operators actually encourage you to just kick your flip flops and sandals off where you’re sitting because they’d fall off anyway. One guy with a crutch just left it right in the middle of the floor – don’t know why it made me laugh but it really did! Because of the position of the seats when elevated, depending on which row you’re on, you can probably see a lovely view of people’s feet swinging aimlessly back and forth above you. The ride video is what it says on the tin: you “soar” above the world nowadays (not just California) and it was super cool. It was realistic enough that it gives you a view of what flying over the world would look like, but it’s not so realistic that you get a chance to feel the effects of swooping over the world (i.e. motion sickness). Also, whatever smell they pump into the room during swooping over the Taj Mahal needs to be bottled and sold, stat! We also popped by The Seas with Nemo & Friends to say hi to all the gang – Nemo, Dory, and even a turtle or two with Crush! Although the Nemo connection is cute and all, it’s actually not the ride bit of the attraction which I enjoyed most but rather the aquarium attached to it. There’s a pair of rescued manatees just chilling in there (so interesting!) and my personal favourites, the stingrays, and it’s very, very easy to lose an hour or two in there – as me and Liz can attest to! Before we leave Future World, I’d like to tell you about the fun I had with one area that definitely isn’t a ride but is even more entertaining: Club Cool. Sponsored by Coca-Cola, it hosts a variety of unusual beverages from around the globe. No Diet Coke here, but there is plenty of odd flavours, my favourites being Fanta Melon Frosty from Thailand (DELICIOUS) and Guarana Kuat, a Guarana berry flavoured drink from Brazil (no, no wiser either but I LOVED it). And also… Beverly. Described as very bitter non-alcoholic apéritif, it is VERY bitter, to the point where a lot of people cannot stand the taste of it, especially if you prefer (or sample) the sweeter drinks in Club Cool first. Me and Liz could both handle it quite easily and it was SO MUCH FUN to help ourselves to a shot of it and have amused Americans wait around to see our (presumably disgusted) reaction, only to be horrified when we said we liked it actually. SUCH FUN! When we were done freaking out Americans, we headed to the showcase. Let me just say, the World Showcase is like nothing else I experienced in my time at Disney. 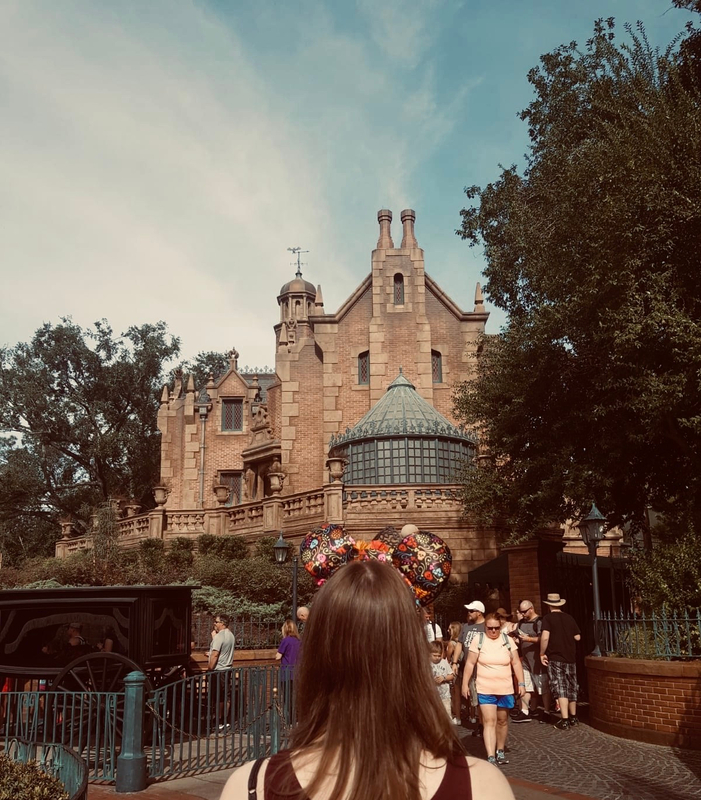 In fact, I’d go so far as saying it doesn’t really feel like you’re in Disney anymore really, probably because there’s no hint of even a slow-moving ride there and because it’s mainly full of slightly tipsy adults thanks to Mexico’s margaritas. Reminiscent of a World Fair, it features pavilions from different countries around the world, specifically United States, Japan, Morocco, France, United Kingdom, Canada, Mexico, Norway, China, Germany, and Italy. As Liz put it so beautifully, the showcase well and truly toes the line between “stereotyping” and “racist”. Each pavilion has themed areas, attractions, restaurants, and shops – and it’s principally staffed by people who come from that region too which is a pretty damn cool idea. When we went to Epcot, it was during the annual famous Food and Drink Festival. This means that the lots of already yummy food in the pavilions is backed up by even more yummy food from across the globe! Liz and I already had our plan of action for Epcot long before we stepped foot in the park: eat our way around the World Showcase. Because the festival was on too it meant we could have small taster portions of the foods on offer and thereby eat more countries more easily! Speaking of, we popped by the UK pavilion, obviously, and it had all the stereotypical tea, biscuits, and pub you can imagine. It was… weird to see that and it was hilarious to me that our contribution to cuisine is basically limited to fish and chips and bangers and mash. We have a lot to answer for, UK. I will say, I was slightly perplexed by the amount of people proudly (and slightly superiorly) walking around wearing Food and Drink Festival t-shirts but then proceeding to basically only eat at the American pavilion. Sorry, but I don’t really think that’s in the spirit of trying out some dishes you wouldn’t otherwise get to. Which is a shame because you’re definitely missing out if you don’t get in on that Ethiopian stew, seriously! The last and the main event at Epcot is probably IllumiNations. Taking place on the World Showcase Lagoon, it’s a light and fire celebration of the Earth, keeping well in the spirit of the pavilions which line its perimeter. Everything was a bit trippy and fiery and theatrical (as all good Disney nighttime spectaculars are) and I don’t think I could ever do it proper justice so you should definitely check out a video of the experience that is IllumiNations. I’m glad I got to see it because even though it has all the big fireworks and water effects that are used in other Disney shows too, it has a completely different feel to them, thanks to the music and the way that the various country pavilions light up during the show itself, really helping to hammer home the point (if you hadn’t got it already) that Epcot is a celebration of the World and its people as one. There we have it, folks, that was my recap/guide/thoughts on Epcot! Have you been to Disney yourself? If so, do you like Epcot and what’s your favourite area of Epcot?